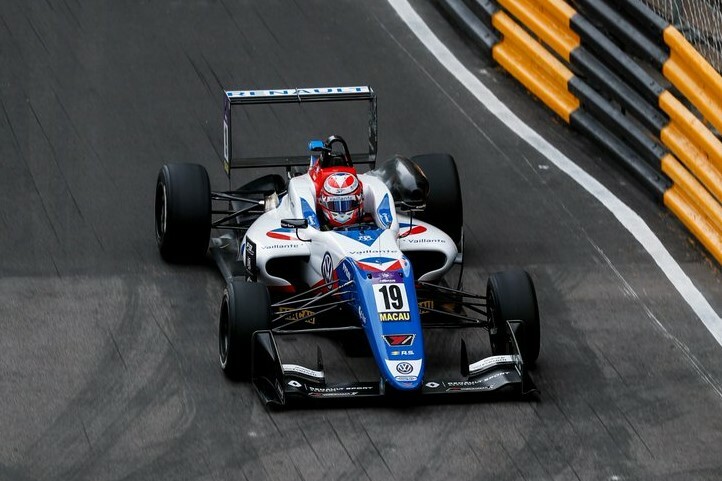 Vehicle Livery design is essential for promoting your sponsors, partners and creating the best possible image for you and your team out on track. 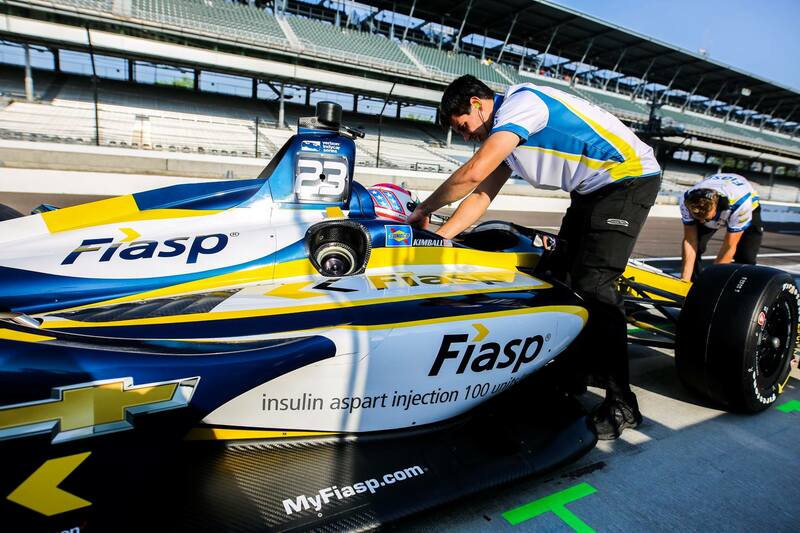 MDM Designs create stand out vehicle liveries for racing vehicles in all different types of disciplines. 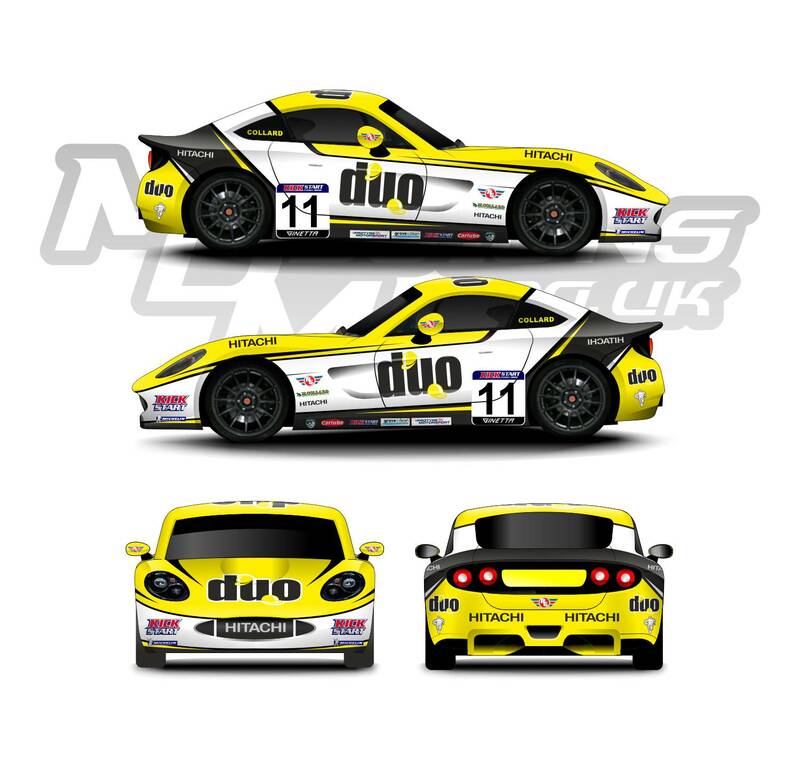 Designs can range from Formula Cars, GT Cars, Touring Cars, Transporters and more! Our designs are created in 2D vector design software, with the option of being designed in basic line and fill drawings, or being designed in 'Presentation Style' where the car is detailed to with realistic effects to give a more complete overall complexion of the design for the client where feedback and later approval can be gathered from. 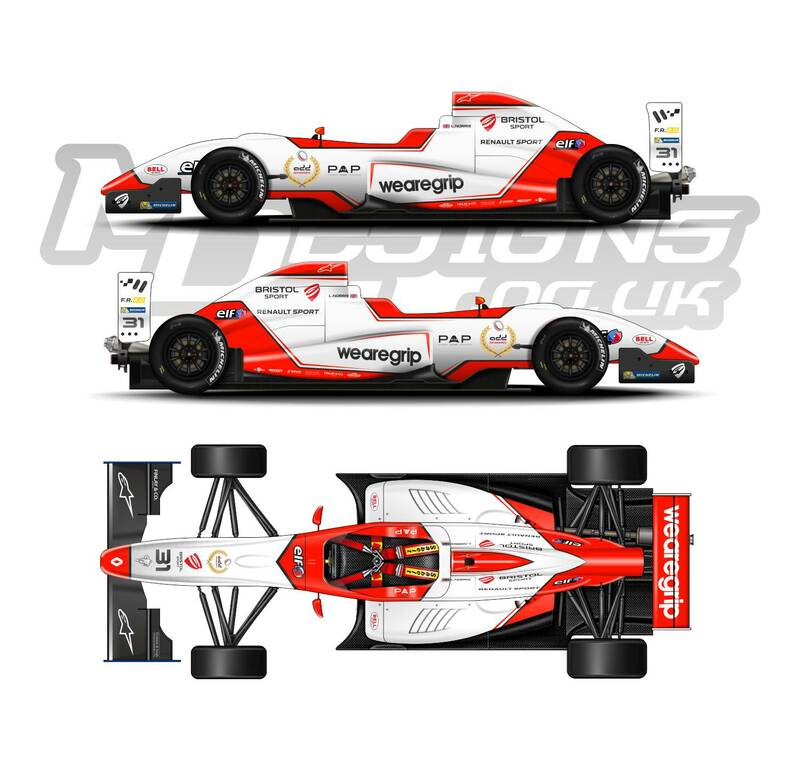 The design options available can cater anywhere from just a 'Side' view, all the way up to a complete all round design that includes both sides, front, rear and plan views to cover all possible perspectives of the vehicle livery design. 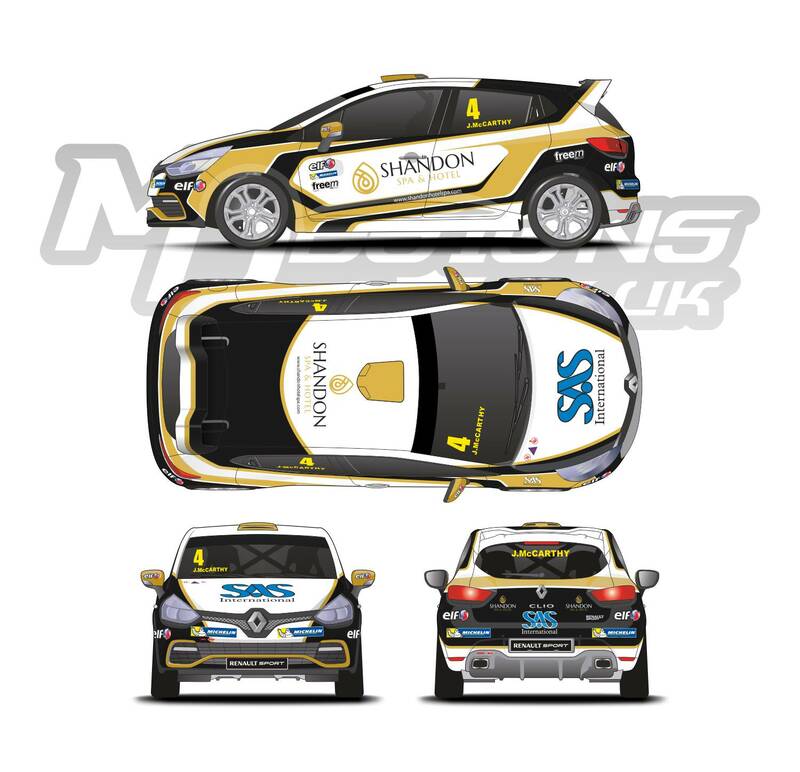 Vehicle livery designs follow the same procedure as displayed in our 'Orders' page online. 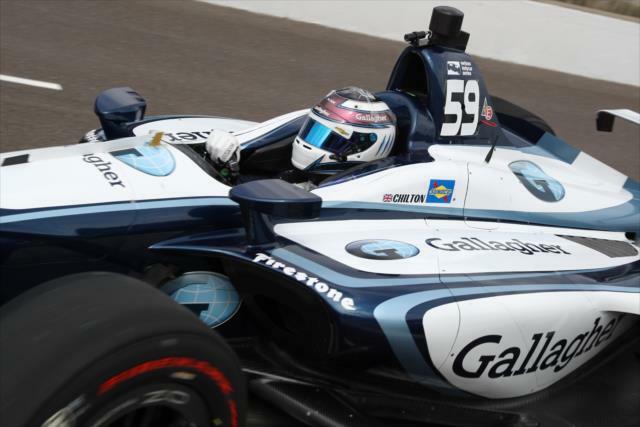 We will need a design brief off the client, alongside the vehicle model the design is needed for, as well as reference of the sort of the style they like. Once this information is provided, we can provide an accurate cost for the artwork design along with a lead time for design completion. 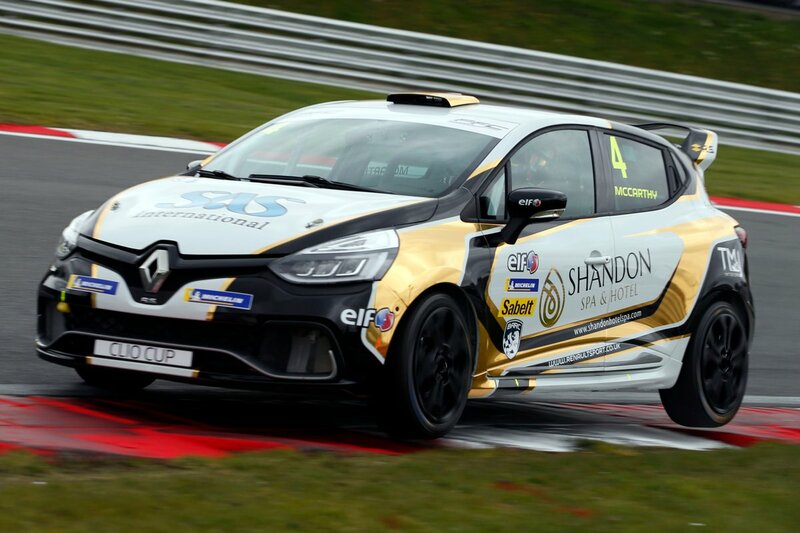 There is also services available for the 'Commercial' and 'Transportation' aspects of motorsport. 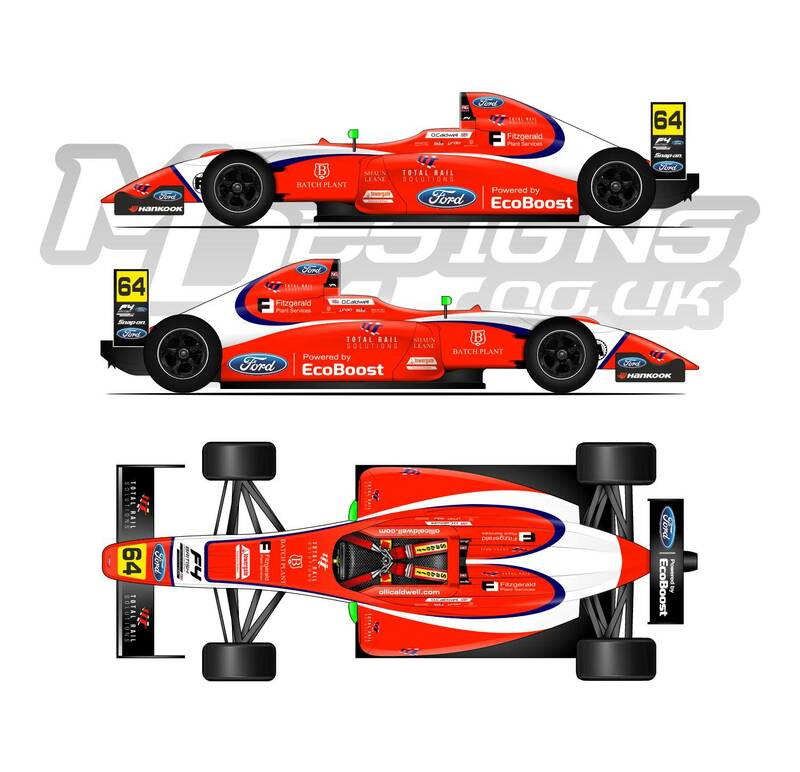 MDM Designs can create livery designs for Race Transporters, Vans and more. 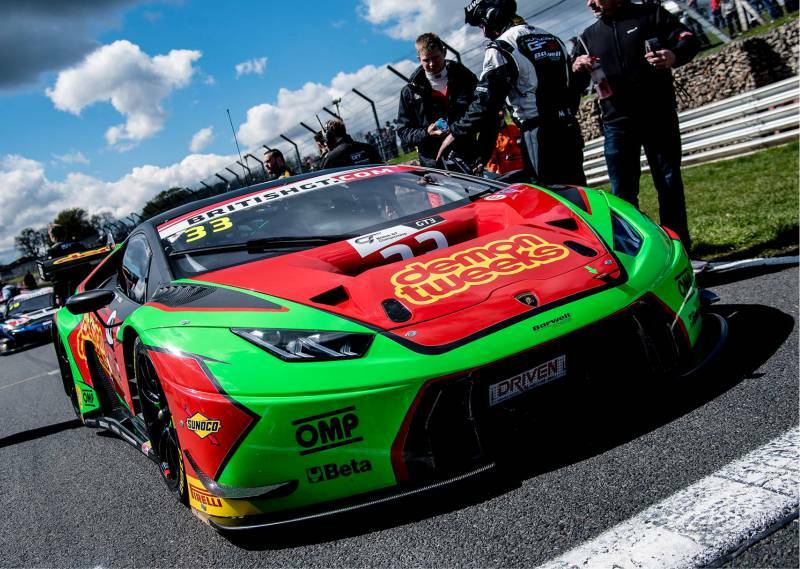 Sponsorship and partner acquisition is crucial in motorsport, which creates various vehicle livery branding opportunities when partners and sponsors join a driver / team. 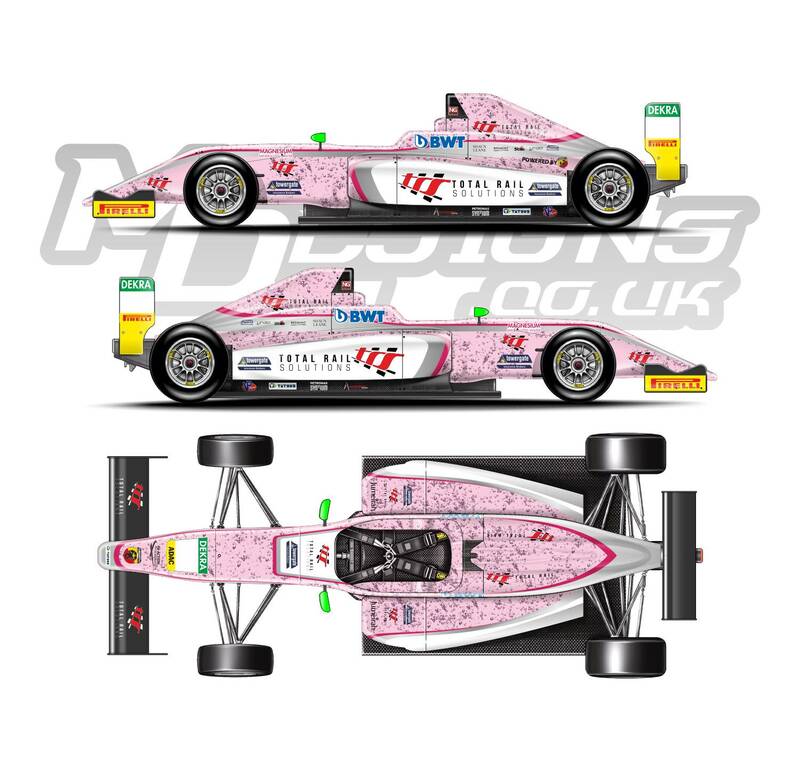 MDM Designs are able to cater for creating livery designs intended to work as proposals for drivers and teams who want to give their interested party a complete visual of how their branding will be displayed on the racing car. 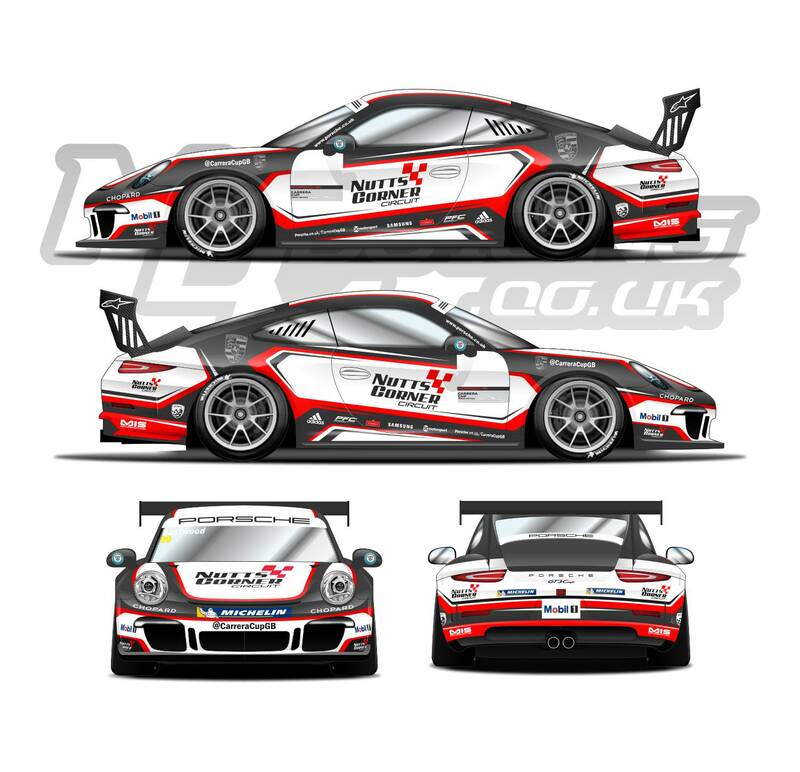 Please see our 'Promotional Design Service' for more information with how Livery Design and Promotional Design can be combined specifically to motorsport. 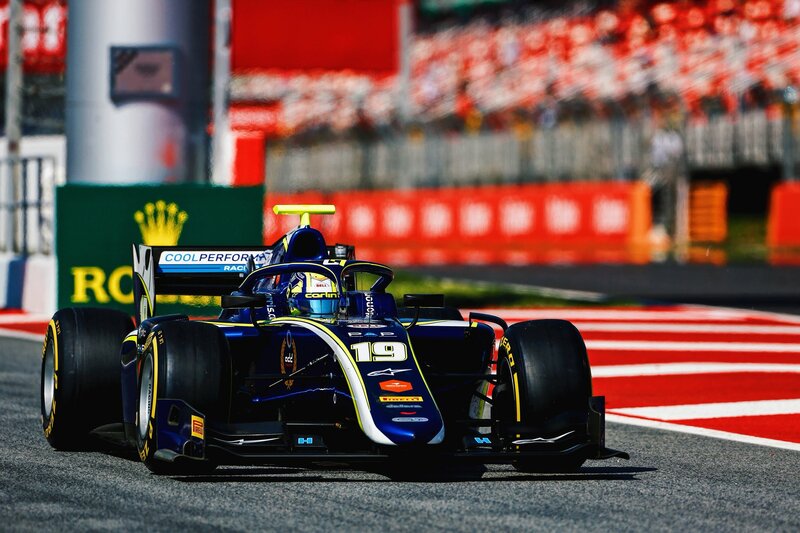 Other visual proposals such as designs for Sim Racing, advertising and upcoming events can be created for special requests. Please contact us for more details. 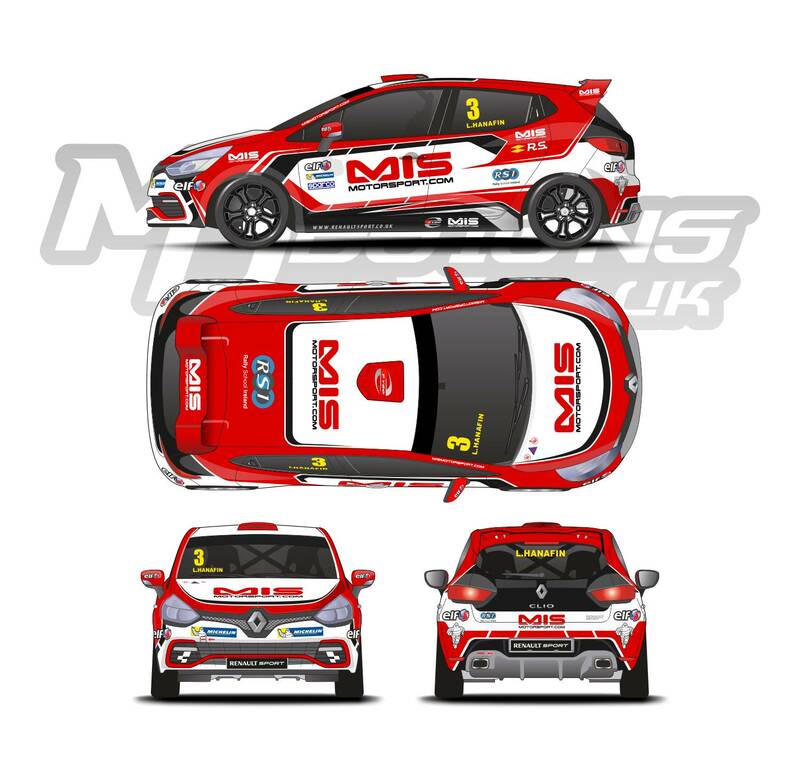 MDM Designs sources out the production of the vehicle livery. 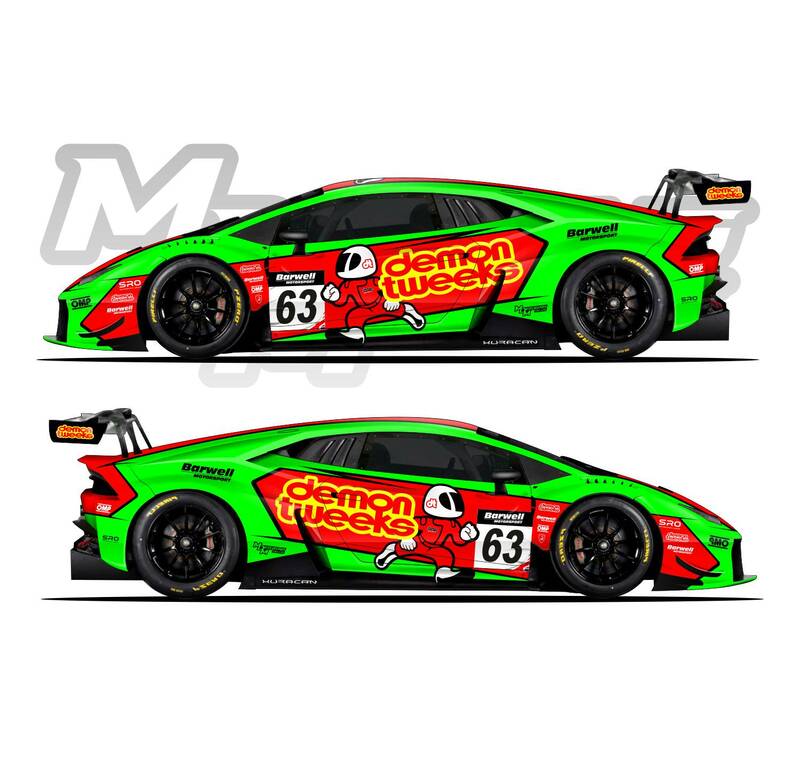 When the final designs are confirmed, we will put you in touch with our partner companies who can cater for the wrapping and graphic application of your livery to make the design a reality. 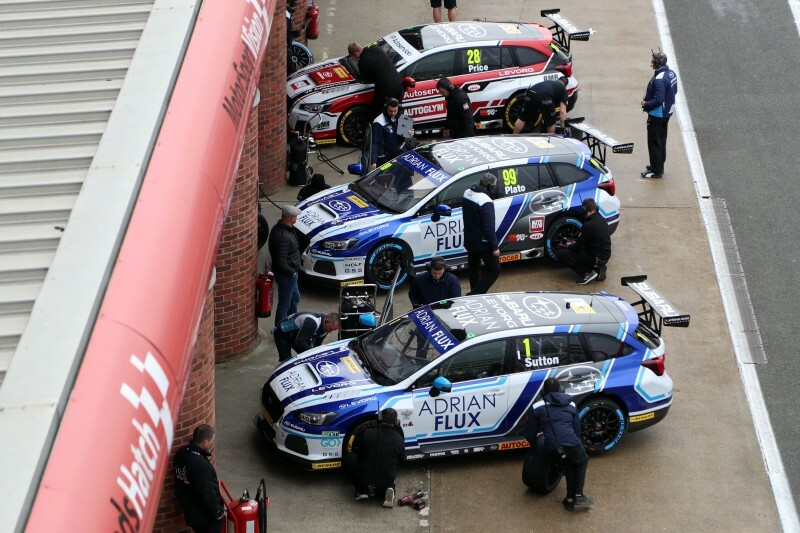 Please view our Terms & Conditions for advisory and crucial information when you proceed with ordering your vehicle livery after your MDM Design has been confirmed. 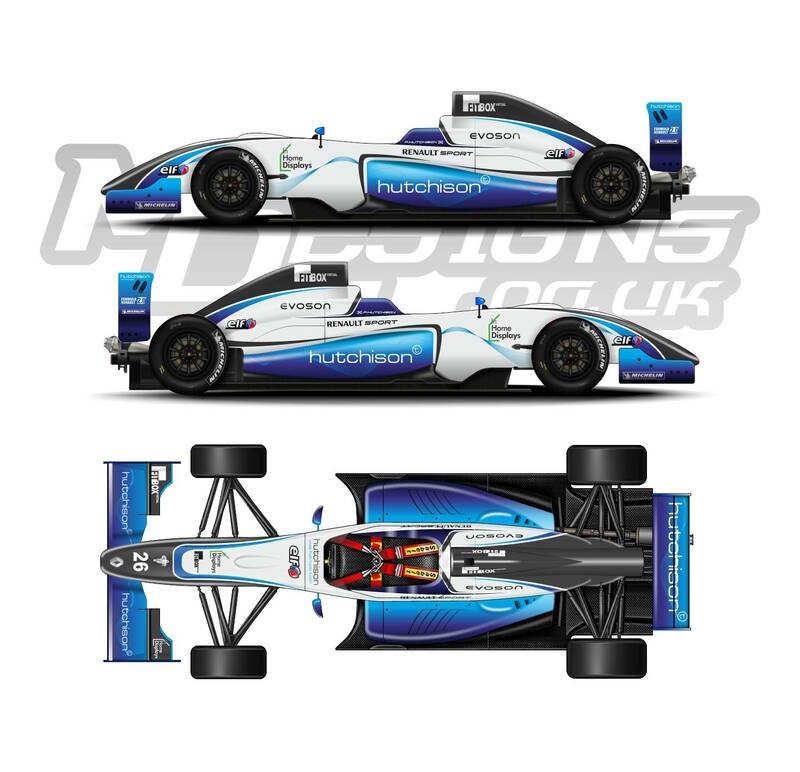 View our gallery below for a mixture of Vehicle livery design concepts and produced artwork in action, so you can see how the design looks in reality.